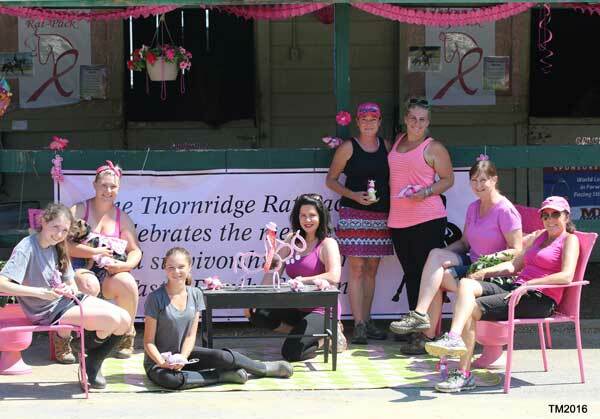 Thornridge Manor had 100% barn participation in terms of rider donations and won the stall decorating contest. To read the full article on this year’s Ride For Life and see more photos, please click on the August issue or pick up a copy at one of these distributors. It’s a wrap. 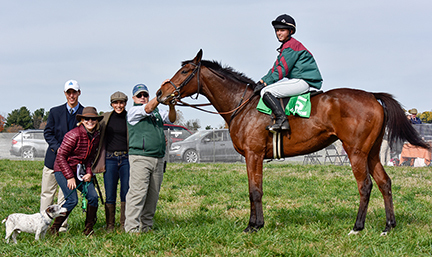 After months of planning, meeting, reaching out to sponsors, vendors, riders and donors, the 2016 Potomac Valley Dressage Association Ride for Life is one for the record books! A record number of donors, rider pledges and totals! This year marks the 13th anniversary of PVDA Ride for Life and the theme was CELEBRATE. We decided early in the planning process, in concert with Johns Hopkins Breast Center, that we would hold the show in Betty Thorpe’s memory, to honor Betty, her courageous battle with breast cancer, her contributions to PVDA, and most of all to celebrate her life. Well, Ride for Life is a fundraiser, after all. I cannot tell you how thrilled (and relieved since it is my first year) that we exceeded many past years’ fundraising efforts despite the change in format from the previous Dancing Horse Challenge, now the new “Freestyle Fundraiser.” Marilyn Jackson deserves credit for tallying donations via a multitude of sources. While we fell well short of our 100% rider participation donation goal, many of you heeded the call, some of you surprising yourselves with your successes. We hope that you spread the word and bring more of your show friends on board for future years. We would like to make a special “shout-out” to Thornridge Manor who had 100% barn participation. Many of you jumped in to march us towards our goal of 100% rider participation. High pledge winners this year were Karen Siebert (Adult Amateur – who raised over $14,000! ), Hallie Arnskrak (Open), Carolyn Del Grosso (Phantom) and Matty Harrell (Jr/YR). 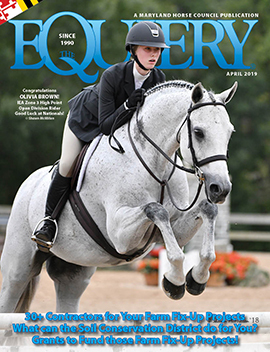 Thanks to our High Pledge Award sponsors, County Saddlery, Kastel Denmark and Pat Artimovich. It was an honor to be this year’s Ride for Life Chair. I cannot thank the team enough–Mimi Mack, Rebekah Lusk, Marilyn Jackson, Jessica Katz, Claire Lacey, Carolyn Del Grosso and Julie Gross–for all that they did to make the show and fundraising so successful. Special thanks to Pat Artimovich and Jeannette Bair for their guidance and historical perspective! PreviousAttn Horse Biz Owners: What you need to know about your cash bank deposits. 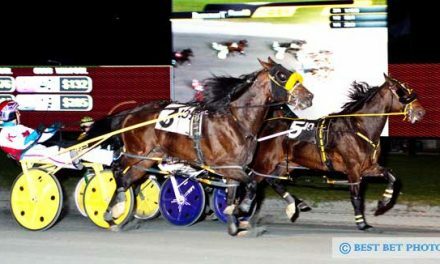 Timonium strikes OTB Deal! Now, what is on your wish list for the State Fairgrounds?